Note:—Forty-five cirrhotics and 18 controls were enrolled. 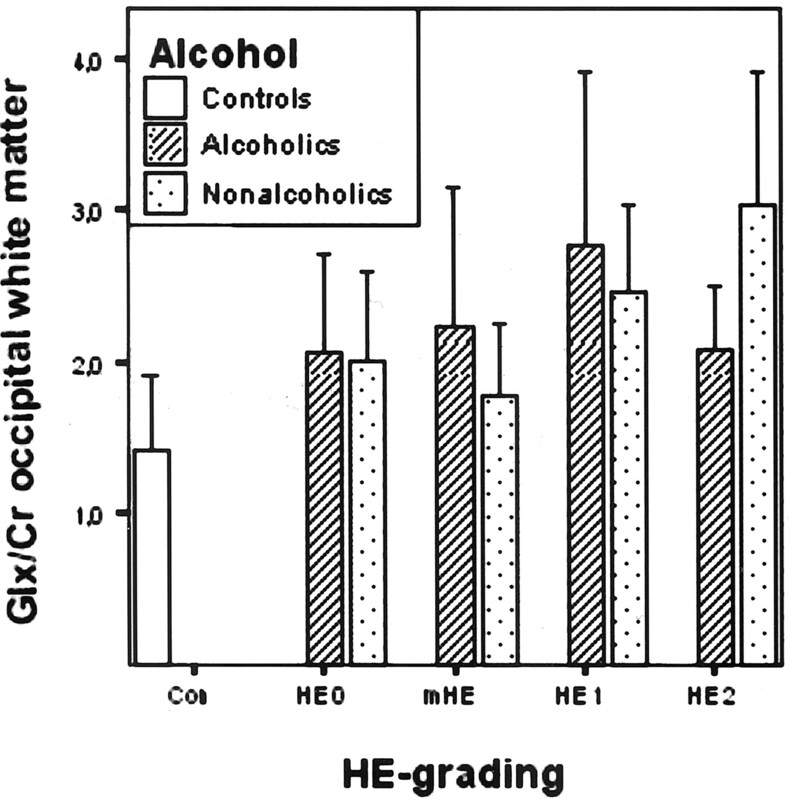 In 8 controls, 2 alcoholics, and one nonalcoholic patient magnetic resonance spectroscopy could not be performed. Values are reported as mean ± SD. 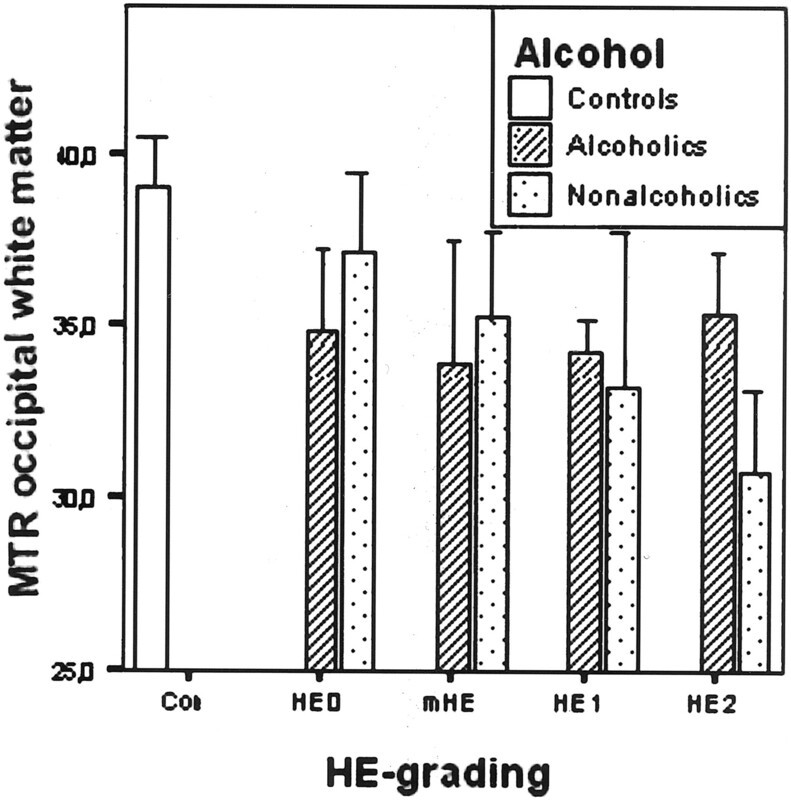 HE indicates hepatic encephalopathy; mHE, minimal HE. ** Significantly different from controls P < .01 (Mann-Whitney U; NS indicates no significant difference.